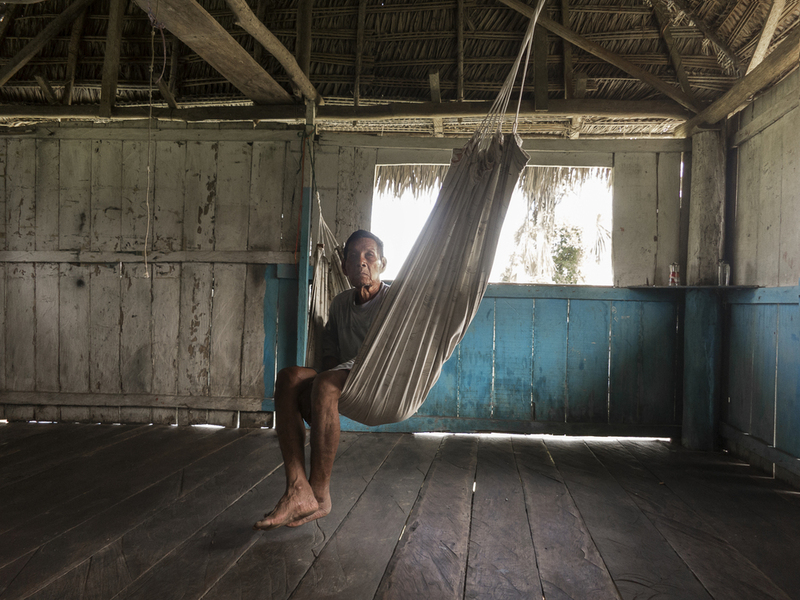 In the Amazon, the density of the forest and the shapelessness of the terrain make it easy to get dangerously lost. It’s not possible to meaningfully explore the jungle without a guide, and even they generally stay close to navigable rivers. And this time of year, that’s pretty limiting. The rainy season has just begun, and over the next 3 months the river will rise by up to 40 feet. Small tributaries will become massive rivers, and much of the jungle will be flooded. With dry land diminished, wildlife will gather in smaller areas, making it easier to find. But for hikers, summer is best, when the jungle floor is dry. The rainforest is an uninviting place. It is more a cerebral test of nerves and patience than a thrilling safari. Millions of years of competition have trained most animals to flee or hide before any tourist can spot them, and a hundred years of irresponsible hunting have taken care of much of the rest. What you do see is often fleeting, distant, and obscured. And everything, it seems at first, wants to kill you. It took constant reassurance from Juan Carlos to convince me that I wasn’t going to be eaten, poisoned, or sickened. The clouds of mosquitos don’t carry malaria or dengue. It’s safe to swim in piranha infested waters. Venomous night crawlers won’t sneak into camp - although that snake we saw could kill you in 20 minutes and your hammock is only designed to protect you from mosquitos. And the electric eels, well, watch out for them. But just being in the Amazon Jungle is a highlight akin to walking through the set from the best scene of my favorite movie. I was excited to find myself in stretches of forest straight out of a David Attenborough documentary. And though wildlife was hard to find, it wasn’t impossible - we saw river dolphins, monkeys, otters, a cayman, frogs, macaws and countless other birds. And you hear more than you see; beautiful, strange, frightening, and funny sounds reverberate through the trees day and night. 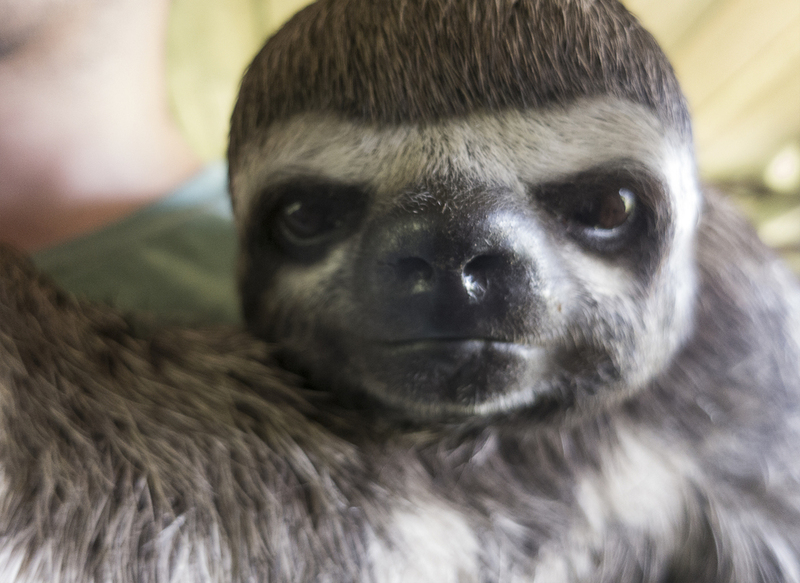 But I have to admit that the highlight might have been seeing and holding a pet sloth. The other high point was also our biggest failure. I sat at the helm of the canoe for three hours, getting battered by a rainstorm, as we travelled to a distant lake. We arrived to find its mouth choked by a heavy network of hydrophytes, which we had to drag, dig, paddle, motor, push, and pull our way through. It was an hour of backbreaking work, and when we finally rounded that last bend we were disheartened to find the whole lake blanketed in the plants. It would have required another two hours of trudging before reaching dry land - not to mention the time required to escape the next morning. With darkness falling, gas running low, and our stomachs rumbling, we had to abort. We backtracked to a swampy corner of the jungle where the mosquitos ruled the night. It was disappointing, but also beautiful, remote, adventurous and satisfyingly rugged. Without a long, carefully planned, and expensive itinerary, it’s hard not to leave the Amazon feeling like you missed something. Everyone I met could list animals they were hoping to see but didn’t. I was tempted to stay longer and take another tour, but decided I’ll return one day when the river is high. As it was, I got a great taste of the selva baja, and the people and animals that live there. For an encore, I’ll have to settle for an episode of Attenborough’s Planet Earth.